I love coffee, but I am all about the creamy, sweet, flavored coffee beverages. I am certainly not a black coffee drinker. The more added flavor my coffee has, the better. I love the flavored creamers and such, but sometimes, those just don't really cut it. I want good quality flavor. 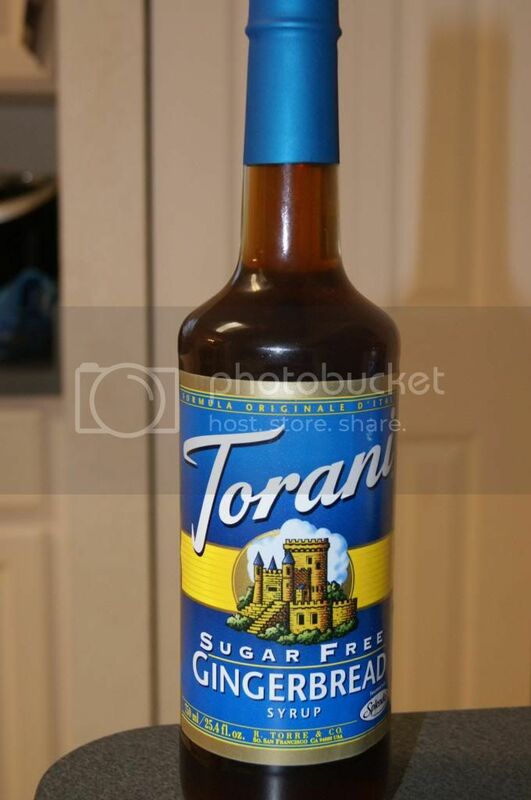 That is why Torani syrups are so amazing. 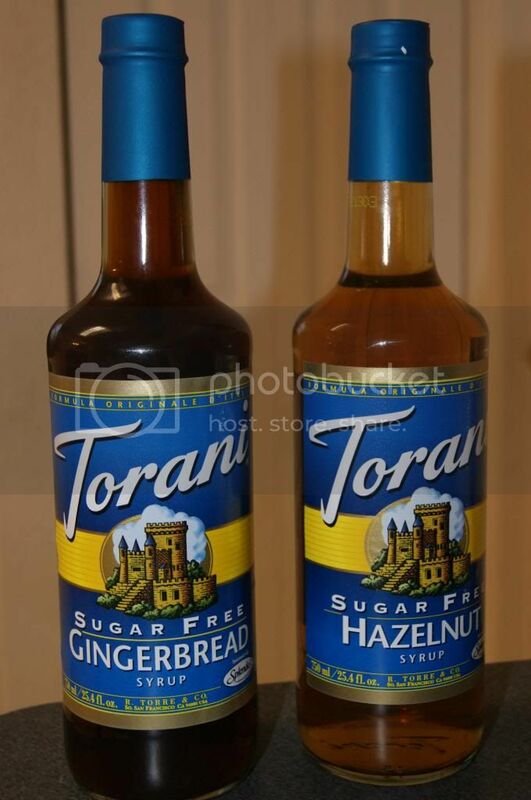 Torani offers a HUGE selection of incredible flavors, including a very large variety of sugar-free choices. Seriously, the number of choices is unbelievable. I have only tried 2 flavors thus far(both sugar free), and they are really good. I love hazelnut. This was so good in my iced coffee and hot chocolate. But what is really fantastic is how it made my chocolate cake so over the top delicious. I got so many compliments and requests to make it again. This has such a rich, true hazelnut flavor. This would be good in so many things. I need to try it on top of ice cream. YUM! If you like hazelnut, you will be in love. Sugar and sugar-free lovers alike will Enjoy this. I'll be the first to admit that me and ginger are not the best of friends, but I do like gingerbread(most of the time), and thankfully, this syrup is very tasty like yummy sweet gingerbread. It was good in my coffee, but this was really good in my sugar cookies. Since as I mentioned, I an not super in love with gingerbread all the time, I would rather not bake a ton of gingerbread cookies, so I make sugar cookies to decorate, but often feels less special. Gingerbread sugar cookie men were perfect. The best of both worlds. My(autistic) son will not taste gingerbread due to the color, but he eats sugar cookies, so this was a great way to get him to taste something different without really realizing it. He loved them as I know he would. My husband loved them too, and so did my neighbors whom I shared with. Everyone asked me my "secret". 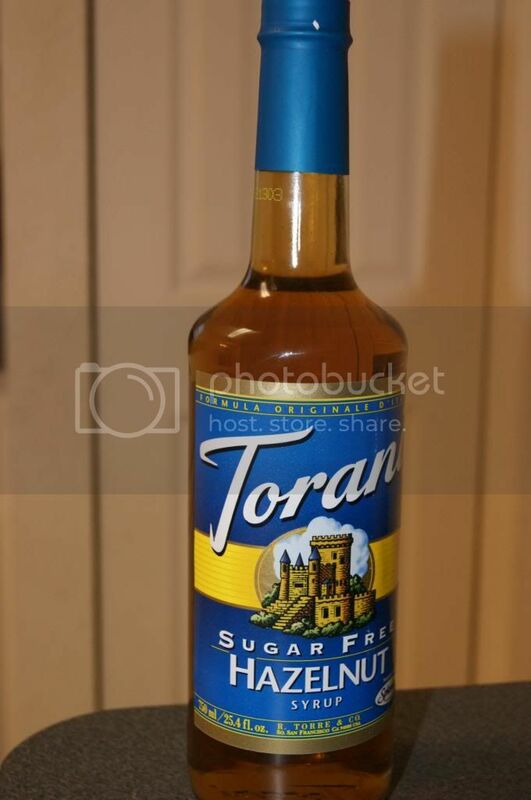 I love that the Sugar-Free syrups are made with Splenda, that is like the only sugar substitute I like, and these taste incredible because of it. They don't taste "Sugar-Free" which I love. I love how these syrups make it so easy to completely change the flavor of a recipe. You could turn a budnt cake from lemon to chocolate to caramel to mango and so on just by using a different syrup. I love simply. I love to bake and experiment, but I hate buying tons of ingredients that I may not use that often. The beauty of these syrups is that they are great in drinks(from coffee to tea to cocktails) as well as baking, and they will get used so quickly. No matter what you are looking for, I bet you will find tons of uses for Torani, but all you need is one. Pick some up to enhance your backed goods this holiday, or add to a coffee lovers gift basket or stuff man's(or woman's) stocking with a bottle of bacon(yes bacon) syrup. Use this coupon to save $1 on your purchase. Wishing you all a very sweet(pun intended) holiday season.